Everyone says Facebook can grow your audience. After all, it's one of the most used and most powerful social media tools on the planet. You started a Facebook Page for your nonprofit. You have a few likes. You've posted some updates. You've seen modest results, but you wonder...now what? Am I missing something? How do you fire up your results and get some Facebook fan love? Why are you using Facebook? Is it to spread the word about your cause? Communicate with existing supporters? Get volunteers? Get donors? What audience(s) are you trying to reach? Who are they? Gather demographics. What’s their lifestyle? What dreams, aspirations, goals and inspirations do they have? How will you reach these audiences? What makes them take action? What types of posts and content will you give them? Who on your staff will actively interact? Have you determined who will do most of the posting and responding? How will you integrate your campaigns both online and offline? How will you keep track of your efforts? Have you established measurements that you want to track? Page vs. personal profile - Make sure you are using a Facebook PAGE for your nonprofit. 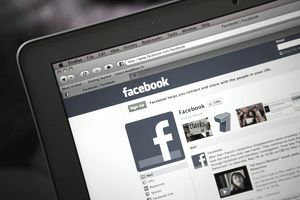 It is against Facebook guidelines for any organization to use a personal profile. You risk your profile being terminated by Facebook if you use a personal profile for your nonprofit. Design an engaging cover image - A picture is worth a thousand words, your cover image speaks volumes. Make sure that it is relevant and consistent with your nonprofit's style, voice, and brand. Show pictures of volunteers in action, clients receiving services, staff engaging in community activities, event photos or even seasonal photos.Be creative and keep it fresh. Switching your cover image often helps your engagement since images are one of the most shared and most liked newsfeed items (More on this later). Here are some great inspiring examples of nonprofit cover images. Note: Facebook changes its cover image guidelines often, so make sure you are compliant. Complete the about section - This is where SEO (Search Engine Optimization) comes into play. Google and Facebook Graph Search grab content from your About section, so make sure you have completed all fields. Most important are your web address, physical address (especially if you are a local nonprofit), contact information and keyword-rich description. Use the 70/20/10 rule. Not sure who originally came up with this idea, but I find it works.--70% Value Content. The majority of your activity should add value to your community. Add content that is interesting, informative, entertaining or inspiring. --20% Shared Content. Sharing other people’s ideas or Facebook posts. This could even be your own communities’ content. --10% Promotional Content. This is when you can promote your services, events, donor drives, your blog, or anything that’s predominantly promotional in nature. Images, images, images. With the new Facebook design, it will be even more important to use images with your posts. Images have always ruled on Facebook, but it’s even more so now. Images are the most liked and shared form of a post, especially when they tell a story. When posting website links, upload a photo directly to Facebook, and then share it with the link to whatever content you're connecting to. You’ll get almost 20x more engagement than the thumbnail links generated by Facebook when you just share a link. Keep updates short. Studies have shown that status updates that are between 80-100 characters get higher engagement. Why? People on Facebook are skimmers - the shorter, the better. Schedule updates. Scheduling fulfills your plan. As you schedule think about frequency, timing, and method.--How often: Post at least once per day, and possibly more. Test your audience and measure what works best. There is no hard and fast rule. Many social media “gurus” will say no more than 1 per day, but some feel that you won’t engage adequately without 2-5 posts per day. --When to post: Mornings, evenings, weekends? It’s really different for every audience. Use Facebook’s insights to determine when you get the most engagement with your community. --Don’t use third-party social media tools for scheduling: Most good social media strategists will tell you to use Facebook’s page status scheduling tool vs. third-party apps such as Hootsuite, Buffer, Sprout Social or other tools. Why? Several studies show that auto posting decreases likes and shares by 70%. The FB scheduling tool is that tiny clock icon at the bottom left of your update box. It's a bit clunky but once you get used to it, it's easy to use. --In general, it’s best to be consistent, responsive, and aware of when your community is most engaged. Your community will engage with you if you ask. That's where calls to action (CTAs) strut their stuff. You know all about CTAs as part of good marketing and fundraising, so apply that thinking to your Facebook updates as well. Interesting Questions - short, easy, and quickly answered. Action Images - images with a specific call to action, such as asking people to like, comment or share can increase the popularity of your post 3-7 times more than if you don’t. “The Tease" - something as simple as including an interesting, yet mysterious image with a link to entice fans to “click here” to a story, video, report or other information. The “hook” - craft a call to action that answers “what’s in it for me?” What will they get in return for taking action? Up to this point, all the actions are free. The only cost is your time. Here’s when your wallet is needed. Facebook ads and promoted posts are some of the easiest, least expensive and highly targeted advertising on the web. If you are just getting started, I recommend that you start with Facebook ads to generate page likes. Then, experiment with promoted posts. A promoted post is when you pay Facebook to essentially “show” a particular post from your timeline to more of your current Facebook fans. See, not all of your updates are seen by all of your fans all the time when they read their newsfeeds. A promoted post essentially “supercharges” your post and shows it to more of your fans. So there you have it - five ways you can inspire some Facebook love! Go try them out. The key is to have fun doing it, stay consistent and keep giving your community what they want. By the way, one of the best ways to learn how to use Facebook is to "like" a lot of the FB Pages of other nonprofits, as well as those of consultants who work with nonprofits, and watch what they do. What great cover images can you find? What CTAs are they using? Notice what kinds of photos they share.